Children love animal crafts, especially the ones under 10 years of age. They love making all sorts of animals and insects using craft materials and also recycled materials. It will never feel old and boring to them. These crafts can also be educational too, especially animal crafts involving the alphabet and numbers. You can make an alphabet caterpillar from construction paper which spells out your child's name or make a caterpillar from a recycled egg carton cut in half (length-wise). Another animal/insect craft which is a favorite among children are ladybugs. Children are fascinated with ladybugs and butterflies too! There are endless craft ideas with these two beautiful creatures. You can turn anything into a ladybug once you have black and red paint or markers. For example, a rock or an egg carton. For butterflies you will need more materials in most cases, unless your using the origami method to fold a butterfly from a piece of paper. Dogs, Flamingos and Turkey crafts are another favorite for children. You can easily make a dog puppet from a paper lunch bag and a flamingo from pink construction paper and pink pipe cleaners. Turkey crafts are only popular during near and during Thanksgiving Day. You can make turkeys from practically anything, such as pine cones, leaves, paper bags as well as craft sticks. It's unlikely that you'll see a penguin, or bear on a farm, but it's fun to make them anyway. Stiff paper, pencil, pair of scissors and a little imagination are all you need. 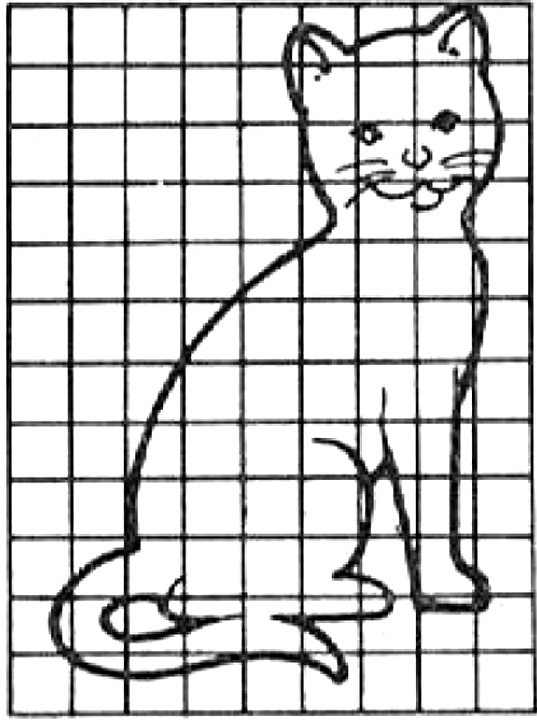 Fold the paper, as illustrated, and draw the outline of the animal. The penguin, squirrel and bear are just a few of the animals you can make. Extra parts, like the squirrel's tail, can be taped on. 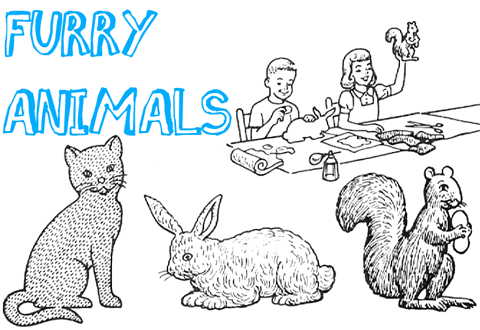 Color your animals with crayon so they look as realistic as possible. 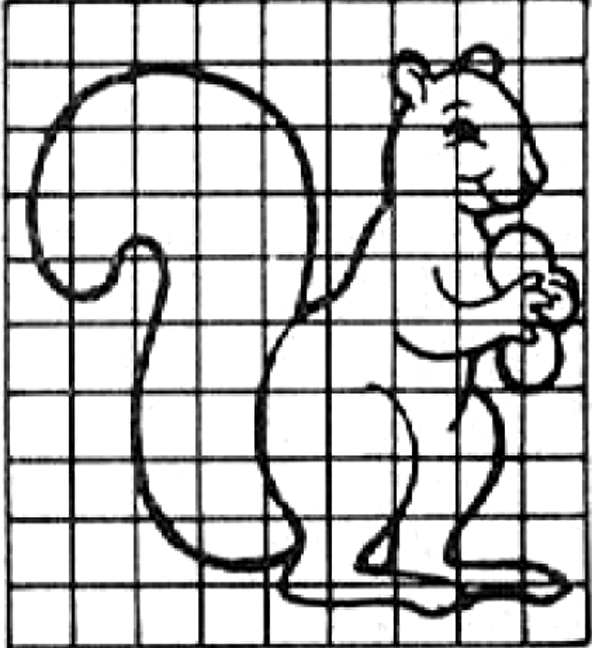 If you aren't too great at drawing animals, then visit our other site's Cartoon Animals Tutorials Page. A really fun activity to do on sleepovers or when you are watching home movies is to make shadow animals ... aka shadow puppets. Above you can see how to make a shaddow puppet animal - butterfly, donkey, ox, dog, hare / rabbit, teddy bear, elephant, goat, goose, wolf, dog / hound, reinder, and chamois. If you have a bunch of packing peanuts lying in a box somewhere in your house, how about using them to make a bunch of animals and maybe even some human characters. Use the packing peanuts as the base of your animals. Take pipe cleaners to use for legs and arms on the animals. You can use pipe cleaners for necks and faces in some cases too. You can also use toothpicks for some animals such as camels and birds. You can use anything that you have in the house. You can even use paper and cardboard to draw faces on and then stick to the packing peanuts. Use your creativity. The floating alligator is made of corks. String the corks from head through body and tail with a single strand of strong wire. For the head, cut the first cork to make the mouth, placing beads for the eyes. The size of the corks used in the head, body and tail will graduate until the rear of the body is reached, where they will again taper to the end of the tail. 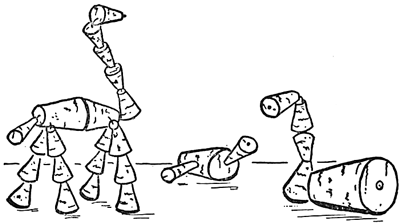 To make the legs, one long cork will be enough for each leg. Draw a wire through for one leg, then draw it though the body, and string another cork for the other leg, thus attaching one pair of legs. Repeat for the other pair of legs. Paint the alligator, not necessarily his natural color, but give him bright colors and spots, shellacking to give added luster as he makes his way about the water. 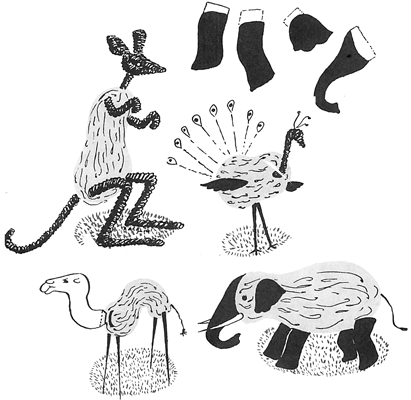 Other cork creatures such as giraffes, birds, swans may be made similarly. Perhaps the easiest to make would be the snake, which consists of one long string of corks. This is a fun game to play when you are with your good friends. Get out a piece of paper, turn your backs towards eachother and then all of you draw a different random animal (keeping this secret). Fold your portion back when you are done with your part...leaving the end line on the next part of the paper so they know where to start their section of the animal. When you are done with your silly picture, you can open it up and reveal it to all of your friends. This always gets a good laugh as it almost always turns out funny. 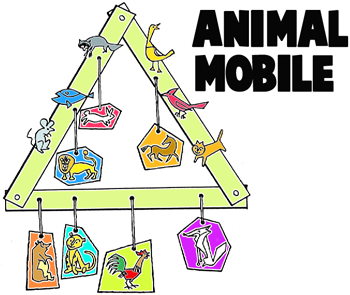 To make the triangle part of the animal mobile that you see above, you will ened to cut 3 strips of lightweight cardboard in 1" x 11" strips. Use a hole puncher or awl to punch several holes along the strips that you cut. Now connect all 3 strips together in a triangle shape by using brass paper fasteners. Now you can go on ahead and cut string, yarn, or ribbin in different lengths, 8", 10" and 12" lengths. Now tie the pieces of string to the strips of cardboard and then tape pictures of animals to the bottoms of the string...it looks best if you glue a second animal picture to the other side of each picture so that if the string spins you can see see an animal. Get out some modeling clay, poster paints, paint brush, newspapers, and some toothpicks. Kids will love making their favorite animals out of modeling clay. Lay out some old newspapers on a table and then mold animals out of the clay as per the directions below. When the clay is dry, you can paint them with poster paints. The directoins for making your animals are as follows: (1) Knead the clay and roll it into large balls. (2) Then break it into smaller pieces. (3) Mold into shapes of legs and bodies. (4) Put together to form animals. (Toothpicks may be stuck through the legs and into bodies to hold animals together.) (5) Use toothpicks to draw in features. (6) Allow to dry. (Click on Image to View Bigger Picture) Now you can have your own pretend zoo. 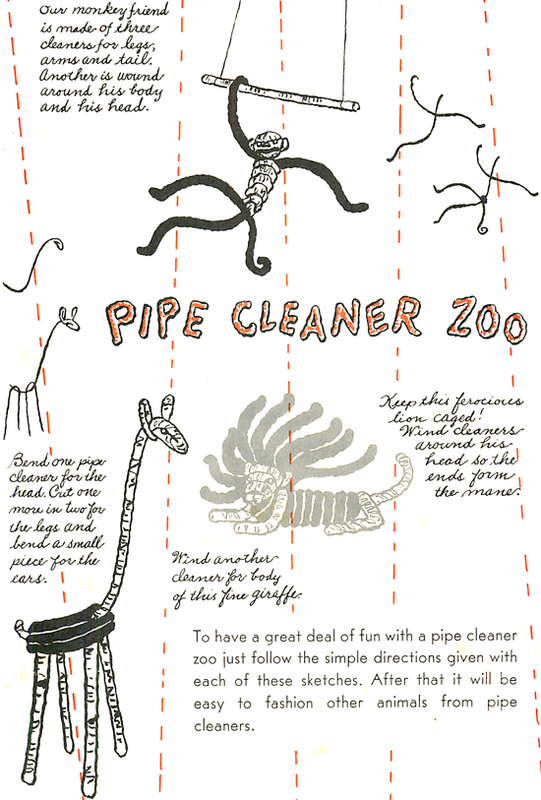 Just gather some pipe cleaners up and check out the above tutorial. You name it, you can make that animal with these funny little craft items. Have fun. You will need cardboard for each animal, newspaper, paste, pieces of craft fur, rough cloth or strips of cotton batting, colored buttons, and glue. 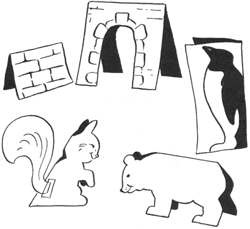 Print out the patterns given here (cat template .. bunny template .. squirrel template) and cut out cardboard animals for the child. 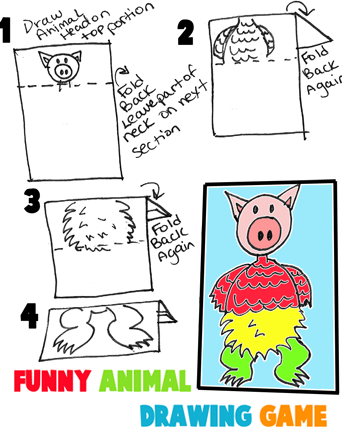 Use cardboard animal as pattern for cutting fur or cloth. Each child should work with a newspaper under his handcraft. Put a dab of paste on a piece of paper toweling and let child paste fur or cloth to cardboard animal. 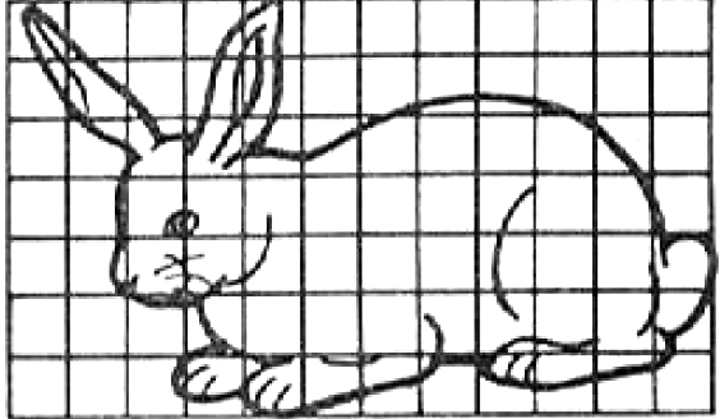 (Animals may be covered on one side or on both sides.) Colored buttons may be glued in place by teacher for eyes. If you wish to use cotton, show child bow to pull off pieces of cotton from larger piece and paste to cardboard pattern. He may repeat this until entire surface is covered. Drawing and Making Cute Animals Out of Hearts for Valentine’s Day - It is a lot of fun to draw cute and cuddly creatures out of any shape, but since Valentine’s Day is coming up, why not try to draw animals, bugs, and flowers from hearts. You can even cut shapes out of construction paper, crafts foam, and other crafts materials to make Valentine’s Day Cards out of the following Heart-Animal Shapes. Clothespin Animals - Make some animals that really stand up with some clothespins and some paper. 3D Box Lid Framed Farm Animal Pictures - Make a shadow box from a shoe box lid (or other type of box lid). The animals stand up with split corks. Even More Heart Animals and Creatures to Make - Learn how to make these adorable animals, creatures, and figures out of cut out paper heart shapes. How to Make Wind-Up Cardboard Carousels - Make a real working carouse/merry-go-round with cardboard boxes, spools, string, and a pencil. Traveling Zoo or Circus Cars - Make a traveling circus with moving circus cages. Deer or Other Animal Puppets - Make these marionette animal puppets with cardboard, paper towel rolls, string, and other items. Circus or Zoo Animal Cages - Learn how to make animal cages with a cardboard box and some yarn.